Samsung India, on Tuesday launched the Galaxy C9 Pro smartphone that comes loaded with 6GB RAM, 16MP front and back camera and 6 inch Full HD sAMOLED display. The Galaxy C9 Pro sports all metal unibody and is dubbed as a feature powerhouse. Samsung Galaxy C9 Pro will be available in Black and Gold colour variants. The device will be available across all retail channels in the latter half of February 2017 at a price of INR 36,900. “The Galaxy C9 Pro will enhance and give users the best multimedia experience with its 6” Full HD sAMOLED display while delivering a powerhouse performance thanks to its advanced processor, 6GB RAM, huge battery power and storage. And to top it all, the superb 16MP front and rear camera with f1.9 lens will help users capture brilliant photos even in low light conditions,” said Manu Sharma, Vice President, Mobile Business, Samsung India. 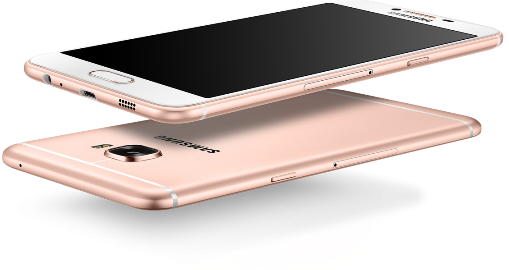 Samsung Galaxy C9 Pro is the first Samsung smartphone with powerful 6GB RAM. It comes with 64GB of inbuilt memory that is further expandable up to 256GB using microSD card. It is powered with Qualcomm 64-bit octa-core processor clocked at 1.95GHz + 1.4GHz. It sports a 16 megapixels front and rear cameras both with super wide F1.9 aperture which allow users to take clear images even in low light conditions. The rear camera comes with dual LED flash. Samsung Galaxy C9 Pro is power backed with 4000 mAh battery along with fast charging technology. The device supports USB Type-C that offers a faster data transfer. To give flexibility to its consumers, Samsung Galaxy C9 Pro has two Sim card slots and a separate additional MicroSD card slot. It supports the suite of ‘Make For India’ features like S Secure, S Power Planning, Ultra Data Saving (UDS) and My Galaxy, which complement the best in class hardware and differentiate the device from all others. For connectivity, Samsung Galaxy C9 Pro includes – 4G, 3G, BT 4.2, Wi-Fi a/b/g/n /ac 2.4GHz/5.0GHz, Wi-Fi Direct, USB Type-C, 3.5mm Earjack, NFC, GPS, GLONASS, Beidu, Support FLP. It is also equipped with Accelerometer, Proximity, Geomagnetic, light, Finger scanner, LED Indicator and Gyro sensor. Interested customer can pre-book the device through select stores and online channels from January 27, 2017 and avail the pre-booking offer of One-Time Screen Replacement for a period of 12 months.